Oil prices gained slightly this week as traders interpreted the moderate gasoline draw as a sign that gasoline inventories could have peaked. Oil prices gained some ground this week on the drawdown in gasoline stocks in the U.S., which the markets interpreted as a sign that the glut could be easing. However, on Friday, oil prices fell back a bit on concerns that there is still just too much supply out there. Gasoline stocks fall, crude stocks rise slightly. 2017 has brought remarkable increases in the inventory levels for crude oil and gasoline, both of which hit record highs this month. The buildups have threatened to erase the price gains achieved since OPEC announced its deal late last year. The latest data from EIA offered a bit of encouragement, revealing a 2.6-million-barrel drawdown for gasoline, although crude stocks rose by 0.6 million barrels. Investors chose to focus on the improving gasoline figures, and oil prices traded up more than 1 percent on Thursday. They apparently sobered up on Friday, and oil was down about 1 percent during early trading hours. ExxonMobil lowers reserve estimate by 3.3 billion barrels. ExxonMobil (NYSE: XOM) removed 3.3 billion barrels from its books this week, as low prices threaten to leave those reserves in the ground. The reserves are located in Canada’s oil sands, some of the most expensive sources of oil in the world. The move comes after ConocoPhillips (NYSE: COP) de-booked more than one billion reserves in Canada as well. The move is a sign of the struggle for Canada’s oil sands to compete in a world of much lower spending levels. Beyond the projects that are already under development, Canada’s oil sands could see fewer and fewer greenfield projects get off the ground. 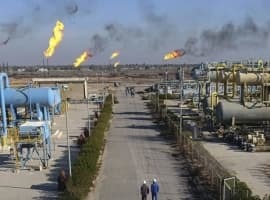 Aramco not worth as much as Saudi Arabia says? The Saudi government is preparing an IPO for 2018 or 2019 for a small portion of its state-owned oil company. 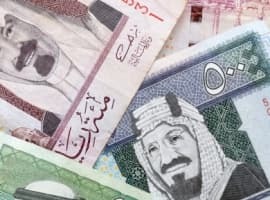 Saudi Aramco, government officials say, is probably worth around $2 trillion, which would make it by far the most valuable company in the world. However, that could be vastly overstating the case. Consulting firm Wood Mackenzie says the core business of Aramco is only worth $400 billion. If that estimate is more accurate, the IPO would earn the government only a fraction of the $100 billion it hoped it would raise by selling off 5 percent of the company. There is a great deal of uncertainty, given the secrecy with which Aramco treats its operations and assets, and the discrepancy in estimates is illustrative of the complexity of taking Aramco public. 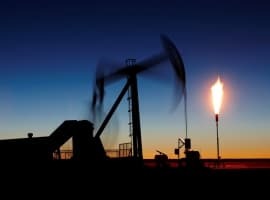 Commodity markets to remain in “holding pattern.” Goldman Sachs says that despite the recent uptick in prices for all sorts of commodities, including crude oil, further gains will be contingent upon forthcoming data showing that demand is growing. Investors have grown incredibly bullish, particularly on oil, building up record net-long positions. Despite the bullish bets, oil prices might not move up until the fundamentals show real proof of improving. “In other words, ‘show me the activity’; real demand, real stock draws and empty warehouses,” Goldman said in a research note. Leviathan finally moves forward. Noble Energy (NYSE: NBL) and its partners gave the greenlight to the offshore natural gas project in Israel. The Leviathan has been held up for years by regulatory uncertainty, with Israeli regulators worried about a monopoly over its resources. The field is projected to hold 22 trillion cubic feet of natural gas, one of the largest discoveries ever recorded in the Mediterranean. Phase 1 of the project will cost $3.75 billion and first gas could be delivered in 2019. Border adjustment tax splits energy industry. The Republican proposal to tax imports at 20 percent and leave exports tax-free has created a sharp divide between different elements of the energy industry. Some refiners that import crude would be hit hard, while those that export refined products would benefit. Domestic oil producers would also benefit from higher prices. It is still a little early for the tax proposal, but Sec. of Treasury Steven Mnuchin said this week that the tax overhaul should move by August. Right now this battle is at a slow simmer, but it could certainly erupt into open war in the coming months. U.S. could stay in Paris Climate Accord. The Wall Street Journal reported that President Trump’s daughter Ivanka Trump and her husband, Jared Kushner, who is a close adviser of the president, have convinced President Trump to remove language from an upcoming executive order that would have called on the U.S to withdraw from the Paris Climate agreement. Wait a minute, last week the stockpile was up 9 million barrels (expected 3), oil price went up. This week up by .5 million (expected 3) and the price stayed flat? What are people smoking???? The stockpiles are at all time highs and people are still going long??? I am speechless. The only thing that will truly clean out the surplus production is a drop in price - not OPEC manipulations in the media. Saudi is only doing the cuts trying to manipulate higher oil price until they complete their IPO (or they realize there are no takers crazy enough to buy a minority share in an opaque Saudi tax environment) then they are going to unload oil on the market in biblical proportions. Be ready!